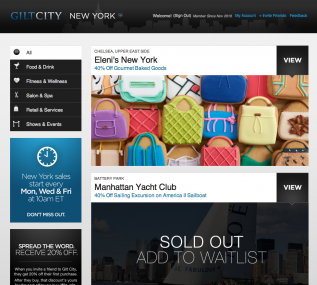 Gilt City, the daily deals site operated by fashion and luxury online retailer Gilt Groupe, has acquired BuyWithMe, according to our sources. Gilt will be purchasing BuyWithMe’s assets, including its member and vendor lists, as well as some of its technology. Other companies also exploring offers included San Francisco-based Bloomspot and the No. 2 player, LivingSocial. Both companies are based in New York and partially backed by Matrix Partners, so the handoff should be fairly simple. We hear the deal is expected to officially close next week and remaining employees at BuyWithMe will be able to apply for jobs at Gilt. UPDATE: Gilt will pay about $5 million in cash and stock for the assets, according to multiple sources. At this price, it was pretty much a fire sale. BuyWithMe had raised about $20 million in venture capital and had also secured additional debt. 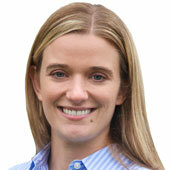 The acquisition was first reported by Ben Popper at BetaBeat, who has been following the situation closely. A spokesperson from Gilt City declined to comment, and BuyWithMe could not be reached for comment. BuyWithMe, which was once considered a top contender in the space, had struggled and then expanded rapidly in the past few months by making six acquisitions to enter new markets across the country. To support its spending spree, it was seeking to raise $100 million in new financing at a $500 million valuation, our source said. But without making any progress over the past couple of months, it was forced to lay off a sizable chunk of its staff last week and seek alternatives. The funding market for deals sites is tough right now, with Groupon and LivingSocial dominating the market and having secured billions of dollars combined — before Groupon’s pending IPO. Some of the smaller players, such as Bloomspot, have been able to raise funding based on pitching a slightly different business model. Especially of value is BuyWithMe’s subscriber list; the lists are incredibly expensive to build and are the primary way that daily deals sites have been able to grow revenues. So far, Gilt City has expanded into 10 cities. BuyWithMe is active in about 13 markets, many in which Gilt is already operating.